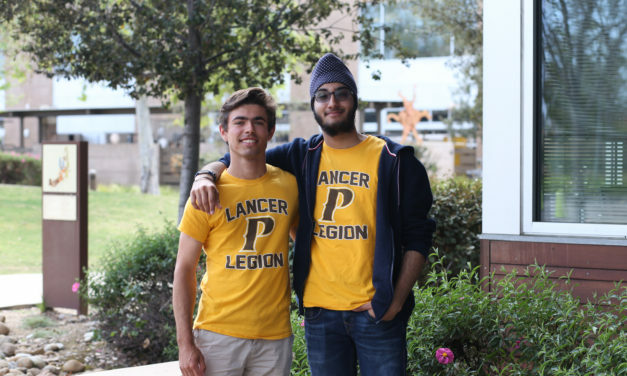 United by the goal to make an impact on the fight against cancer, Parker juniors Umit Suri and Noa MacDonald together with a team of fellow students raised more than $33,348 for the Leukemia & Lymphoma Society (LLS). 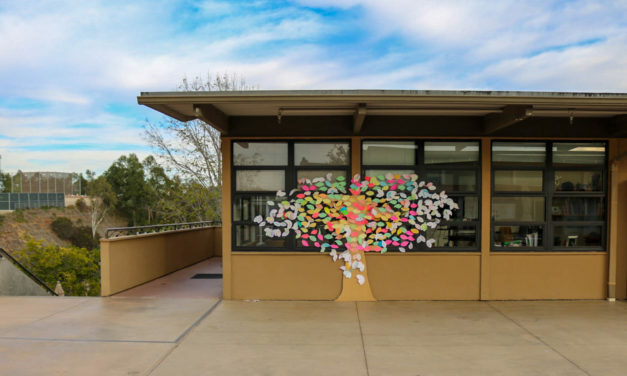 Parker was named one of four Green Ribbon Schools in San Diego County for its efforts to reduce its carbon footprint and improve the health and wellness of students, faculty, and staff. 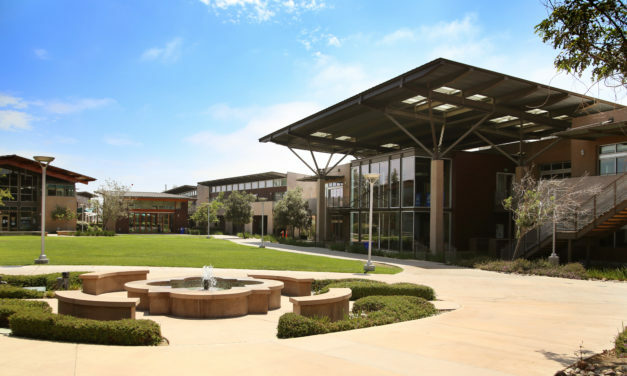 Only 20 public and private schools in the state of California were awarded this distinction, along with three school districts and one county. Their day starts bright and early: Saturday, 7 am. On a good day, the snooze button remains untouched. It may be the weekend for identical twins Sonali and Maya Chu, but there’s a car to load and a booth to set up. 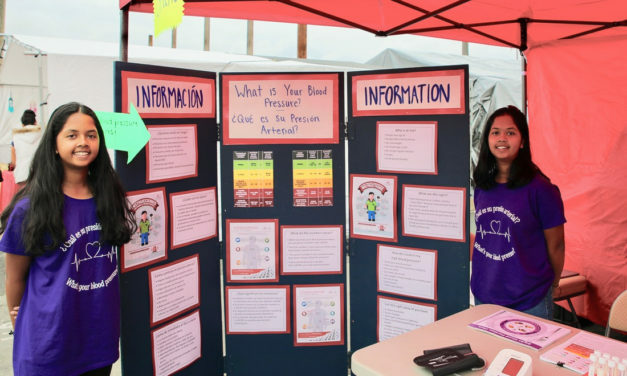 The daughters of two doctors, Sonali and Maya have been offering free blood pressure tests to people in the Chula Vista community for almost two years. 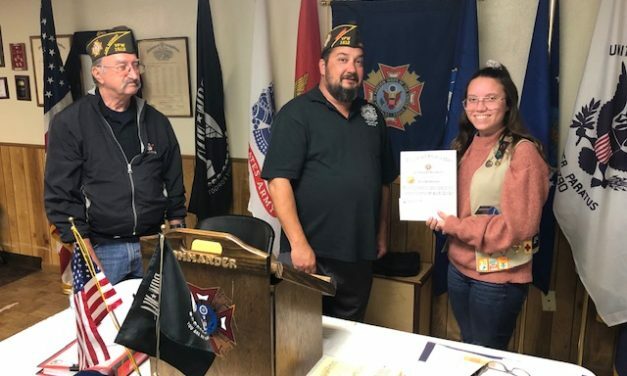 Veterans of Foreign Wars (VFW) Post #1512 of Encanto awarded Teia Shannon, Class of 2019, Scout of the Year for her 12 years of service and her Girl Scout Gold Award project, Consenteens—a workshop on consent education for high school students. 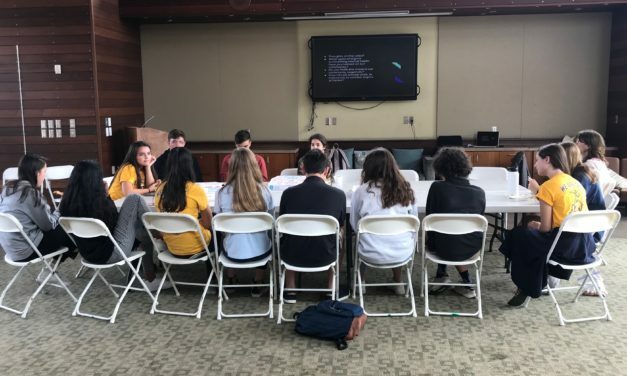 Described as the most loving and warm person you will ever learn science from, Rose Hanscom, retired Upper School science teacher, received a special dedication from Upper School’s social justice students. 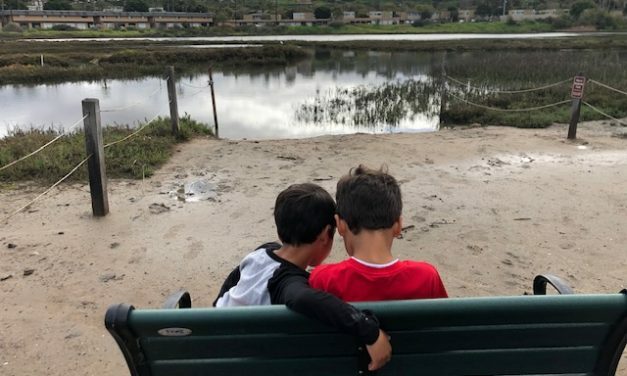 On the morning of March 15, Parker students surprised Rose with a bench featuring her name at the entrance of Famosa Slough. 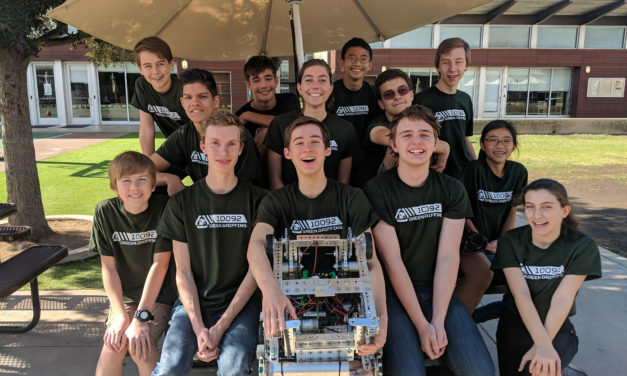 Parker’s robotics club hosted an FTC league competition on Sunday, Dec. 9, providing a space for 14 local, community-based robotics teams to compete. One of those teams was FTC 10092, a community team supported in part by Parker’s robotics program. 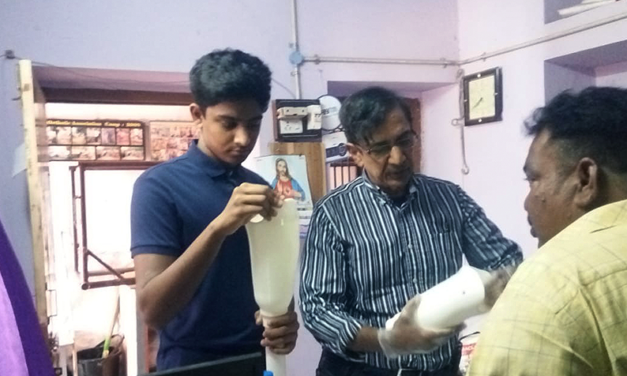 Rakesh Reddy, Class of 2020, was recognized by the popular film and media conference South by Southwest (SXSW) for his work with his nonprofit, Born2Walk. 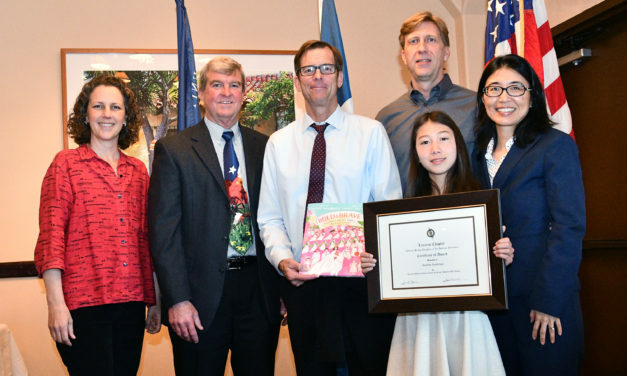 The nonprofit was named a 2019 SXSW Community Service Award nominee, an honor given to individuals and organizations for their outstanding commitment to community service. 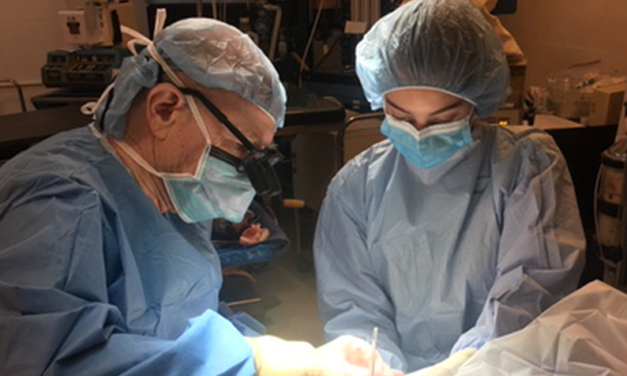 Reese Ger-Herscott, Class of 2020, traveled to the small Mexican town of El Fuerte with her grandfather and a team of volunteer doctors and nurses to provide needed healthcare to dozens of people living in the rural area.